Well, that was 52 years ago. At that point I didn’t know what cherish meant. Maybe it’s a fuzzy word for you. Either way, let me introduce you to my friends, Tom and Debi Walter, who write a wonderful blog dedicated to caring for your marriage. The Romantic Vineyard, their blog, started ten years ago, and it has helped cultivate strong marriages around the world. 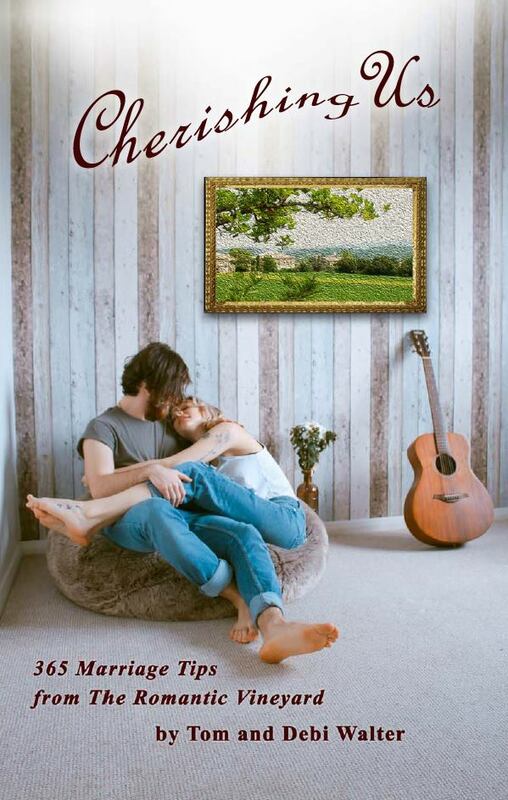 This week they are releasing their new book, Cherishing Us. It is a wonderful resource and full of inspiration to keep your marriage healthy. In fact, it is all about a healthy marriage, offering 365 healthy marriage tips and a whole lot more. Won’t you consider ordering it today?